A recent study has found that pregnant women who drink coffee don't pose any risk to their fetuses, which is a good thing, because coffee has a lot going for it. As we recently reported, a groundbreaking news study published int he American Journal of Epidemiology has some reassuring news for pregnant mothers: contrary to popular opinion, consuming coffee doesn’t have any adverse affects on unborn children in terms of intelligence or behavior. And that’s a good thing, because you’d be missing out on some amazing benefits that come from drinking the juice of that magical bean. The study found that pregnant women who drink a moderate amount of caffeine won’t impair the intelligence of their child or result in behavior problems based on a survey of 2,197 pregnant women between 1959 and 1974 — when people drank coffee more during pregnancy. While we all know that coffee is a great, zero-calorie way to perk up in the morning without any negative side effects — provided you don’t get too wired, of course — you may not realize just how deep those health benefits go. First and foremost, drinking coffee regularly can actually lengthen your life. Published scientific research indicates that four cups of coffee pere day can reduce the risk of death from any cause by a full 16 percent, and three cups per day reduced the risk of death from cardiovascular disease by 21 percent, according to an EcoWatch report. 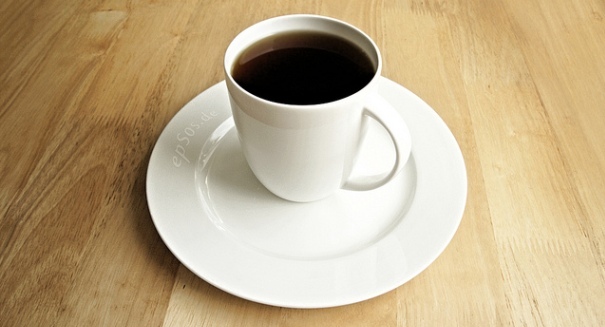 Furthermore, coffee protects against the dreaded C-word: cancer. Cancer researchers have found that drinking four cups of coffee or more each day can drop prostate cancer risk recurrence by 59 percent. Why? Coffee has lots of antioxidants. But it’s not just longevity either — coffee can improve your quality of life by helping youd rop those unwanted pounds. Coffee is loaded with prebiotics that keep your gut filled with good bacteria. Also, caffeine boosts your metabolic rate, meaning you burn those calories faster. And then there’s the possibility of reducing the risk of Alzheimer’s by keeping brain inflammation low. Either way, pregnant or not, you’re going to want to keep drinking that cup of joe.